Researchers discover new Computer Chip Vulnerabilities! We all know computer chips, software updates and their ilk are all not free from bugs and more. But now researchers at Washington State University have discovered another flaw in computer chips that could cause some serious vulnerabilities. These so called computer chip vulnerabilities were previously unknown to man and now that they are known can cause some huge problems. These computer chip vulnerabilities can cause failures in modern high tech electronics even though they of the high performance variety. One would expect the high performance computer chips to be relatively free from such problems but the reality is something else altogether. Researchers at Washington State University found that by deliberately adding malicious work load onto the computer chip they could affect the communication system on the chip. This communication system on the chip is important and damaging that could cause some big problems. Talking of big problems, such a computer chip vulnerability could cause the computer chip’s life to shorten drastically. Researchers have been at work trying to understand how vulnerable computer chips really are to malicious attacks. This they do in order to identify threats and devise suitable actions to remedy such computer chip vulnerabilities. Many tech vendors such as Samsung and Apple deliberately send software updates that intentionally slow down earlier phone models as a way to encourage people to buy newer more expensive models. Research into computer chip vulnerabilities has earlier looked at various computer chip components like computer chip memory, circuit boards, processors and other areas for computer chip vulnerabilities. But researchers at Washington State University have discovered new threats in the most important part, which was previously not looked into – The communications system. Not only was this vulnerability discovered in the backbone of the computer chip, it was also discovered that high performing computer chips had such vulnerability too. 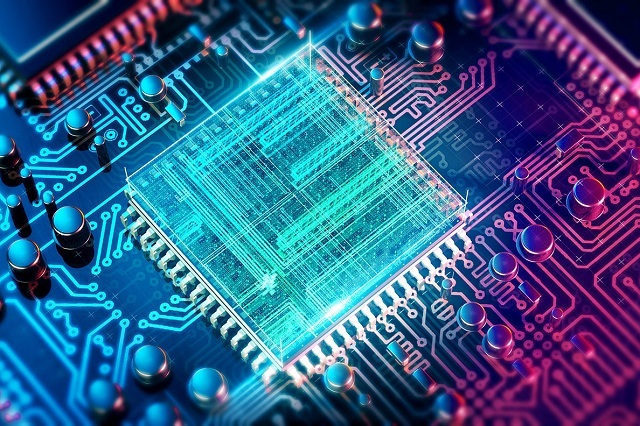 The communications system in a computer chip is the glue that holds that entire processing of the chip together. Once that glue breaks down, a very powerful chip becomes useless. High performance computer chips have a number of processors that perform large amounts of complex work. These processors communicate with each other through the communications system on the chip. This communication system also coordinates all the processes. So it is not hard to imagine a slight flaw in such area could cause some serious damage. Researchers are at present looking for ways to incorporate such high performance chips with multiple processors onto hand held devices. This computer chip vulnerability could potentially affect our smartphones too. Researchers at Washington State University devised a series of attacks that targeted the communications system. The results were shocking, in that the entire communications system was affected and was likely to fail because of such an attack. Such computer chip vulnerabilities could be used by malicious persons to target a computer chip and cause it to malfunction. Planning a group tour of Silicon Valley Campuses can be quite hectic given that they are so many important and notable campuses to choose from. From Apple to Facebook to Google, once you name a tech giant that has created a niche for themselves in the industry over the last decade or any tech brands that are basically household names worldwide, all of them have their headquarters as well as campuses based in the Silicon Valley. It is no easy feat to plan an itinerary around the Silicon Valley, not only owing to the number of major tech campuses situated there, but also the fact that the transportation around the Silicon Valley is an issue given the classic valley roadblocks one has to face. The best solution would be to undertake a group tour and take a bus rental. Palo Alto group tour bus rentals are quite popular and usually a favorite in this matter. However, there are quite a number of variables and specifics that we have to decide on while planning a group tour along the Silicon Valley Campuses. Numbers are an important factor when it comes to deciding on group tours along the Silicon Valley Campus. It is in fact, highly advisable that you go in large numbers, as not only will that profit you when it comes to the cost-benefit analysis, but also the fact that given the valley traffic situation, you would need to spend quite some time chatting up to your group or playing games with them while you are travelling from one stop to another. If you do not know most of the people in your bus, rest assured, by the end of the day, you will know their stories since you will get a lot of time in your hands if you plan to incorporate multiple campus sites on your itinerary for a single day. Situated in the Mountain View HQ Campus, the flock of buildings here is colloquially called the Google Plex after the tech giants that have set up shop here. The central campus here, however, is situated in front of the #43rd building and you can take a tour around the area here. Though visiting the central area of the campus is strictly off limits, once you visit the premises of this major tech brand , you can walk up to the main campus sign and you are totally allowed to take a couple of selfies here and upload it on Facebook itself. Undoubtedly, Apple is the brand that has come of its own in the last decade and is the pioneer of industry changing brands and if you visit Silicon Valley, this is a campus that you must take a tour of. Modelled on the retail stores of the brand, the look of the place was changed back in 2015 when the campus underwent a major renovation. Apart from these, from Intel to eBay, from Netflix to Yahoo, every major tech brand has a campus here and it would only be a folly to miss these ones. As mentioned earlier, the time between the stops on a campus tour might take a while and it would do you a whole world of good if you are prepared for that and go packed up on the bus with board games or group activities in mind. All in all, if you are crazy about tech, Silicon Valley is surely going to be one of the most important highlights of your life whenever you look back. 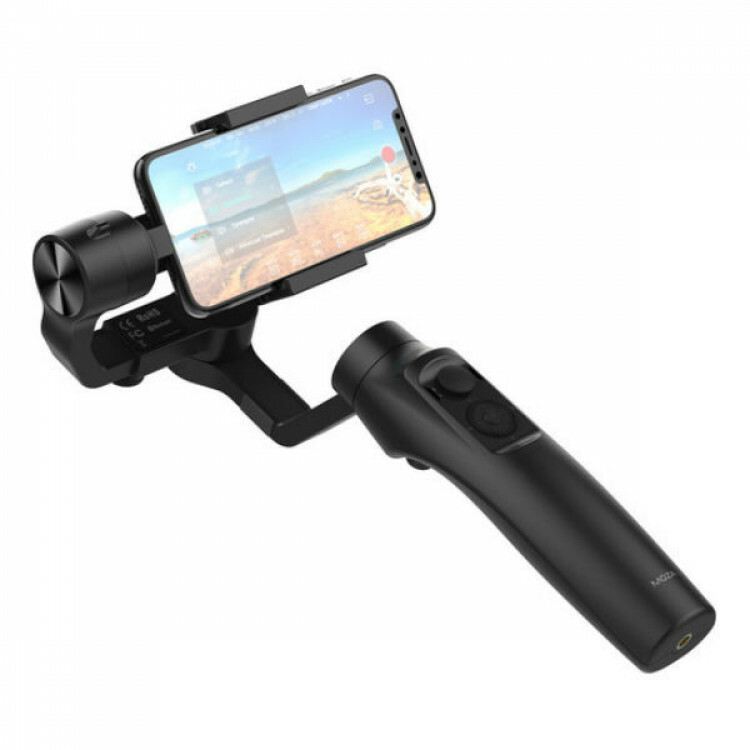 The MOZA Mini-MI gimbal is a very useful accessory for your smartphone. With most of the smartphones, you can take HD videos. However, when making these videos while you are walking and talking becomes a bit difficult. Here is where the MOZA Mini-MI gimbal will sort out the problem. It provides your smartphone with a stable cradle. It helps to stabilize camera movements and capture perfect shots. The MOZA Mini-MI gimbal also provides a wireless battery boost. It is available at the PCWorld Shopor the PopSci Shop for $94.99. It is a very handy accessory which you can even gift your loved one. What is the MOZA Mini-MI gimbal? The MOZA Mini-MI gimbal is compatible with most of the smartphones available in the market. It comes with a freely moving head which remains balanced every time. It features built-in controls so that you can begin recording with a single tap. With the companion app, you can focus, zoom and time your shots. There is a whole load of professional photo and video settings via the companion app. The built-in buttons together with the companion app helps you get the perfect shot. The MOZA Mini-MI gimbal allows you to focus, zoom, take panoramic views, carry out slow-motion time-lapses and much more to enable you to get stunning videos and perfect shots. All this you can do from the handle’s built-in buttons. With the help of the zoom dial, you can zoom in without any need to touch your smartphone. The MOZA Mini-MI gimbal also comes with eight follow modes which helps the user to capture moving videos by keeping the main subject within the frame. By using the eight follow modes you can get good cinematic motions. The MOZA Mini-MI gimbal comes with a wireless charging technology and keeps your smartphone charged while you are shooting. The MOZA Mini-MI gimbal helps to stabilize and energize your device with the help of the built-in wireless charging technology. When you are busy shooting videos, the MOZA Mini-MI gimbal keeps your device charged through the 5V micro USB port. With a 2,100Ah battery, you can carry on video shooting for the entire day. The MOZA Mini-MI gimbal is a very handy accessory for your smartphone which enables stabilization of the device to get stunning shots. The Sport Gear mode that comes with the MOZA Mini-MI gimbal helps you to create very quick transitions. The Inception mode allows for Dutch tilt shots. The MOZA Mini-MI gimbalis very handy for videographers and photographers. It allows for a continuous yaw, tilt and roll movement through 360 degrees, 165 degrees and 310 degrees respectively. If you want to film videos from your smartphone without any shaking of the hand, then go in for the MOZA Mini-MI gimbal. Though it can be obtained from the PCWorld Shop or the PopSci Shop for $94.99, you can get it for $75.99, by using the Cyber Monday offer code, CMSAVE20. PUBG is one of those games that everyone’s heard of and has rightly become the most popular game of 2018. Anyone and everyone have heard of the most popular game. So unless you’re living under a rock or not from this planet, PUBG would not only be something you’ve only heard of but also have played. Since most of us already know what the game is about, here’s a little jist of the most popular game of 2018 for those uninitiated into the world of PUBG- PUBG or Player’s Unknown Battleground, if you prefer the longer version, is an online game that starts when participants parachute of a plane. Once landed, the players have to look for ammo, weapons, gears and even clothes all needed to fight and survive in the game. Getting more to the point, the game is survival of the fittest or in this case the last one standing. So you loot, fight and all that goes with it and win only if you’re the last one standing. PUBG is an online game and you need to stream the game while playing. So to get most out of the game, you need to be present in real time on the battleground and that means that there can be no lag time. In that case your smartphone needs to be battle ready and that means all background apps must be off so as not to take up any precious RAM that will be consumed with PUBG. To be Battle ready you need to be equipped and the first thing you need for battle is your earphones with a mic. You need to be able to hear all that is around you in the virtual game and also to be able to communicate with your teammates in the game. Second important thing to be ready for PUBG is to have your smartphone with a full battery or enough battery to last one whole round of the game. You are not entering the game as a killing machine. So get the mercenary agenda out of your head and stick to the plan- SURVIVAL. So instead of bagging the award of most number of kills (psst… there’s no such award), concentrate on survival and not much else. You can go solo or play as a team of two or even get your own squad. You can have your pick on PUBG the most popular game of 2018. So pick whatever is convenient to you at the time. To be battle ready, you need to know where you are and that means knowing your maps. Currently PUBG has three maps Erangel, Miramar and Sanhok. Snahok is the smallest location there is on PUBG and will be easier when it comes to learning your layout. Besides learning the map, you should also keep in mind places where the loot is or anything that will help you in surviving in the game. The key locations in the game are Pochiniki in Erangel, Ruins in Sanhok and Picado located in Miramar. If this is your first time in the game then it might be helpful to go solo first. Once you’ve a good lay of the land and how the game is played then you can go in as a team of two or as a squad. This is also a useful tip as when you’re in a team you are expected to pull your own weight and if it is your first time then you shouldn’t be wasting your time and your team’s time getting your bearings. This one is simple yet effective- try to land as quick as you can. This tip will help you collect armor and other weaponry before you opponents and will help in annihilating them first. There are two zones in PUBG the white one indicates the safe zone and the blue one is the kill zone. Blue circle is out of the play zone and that means that it is a kill zone. Picking your stance will be important in the game. Is it going to be Fight or Flight will be your call and will be an important call to make while in the game. The game offers an array of 40 guns. You need to pick the gun according to your strengths. 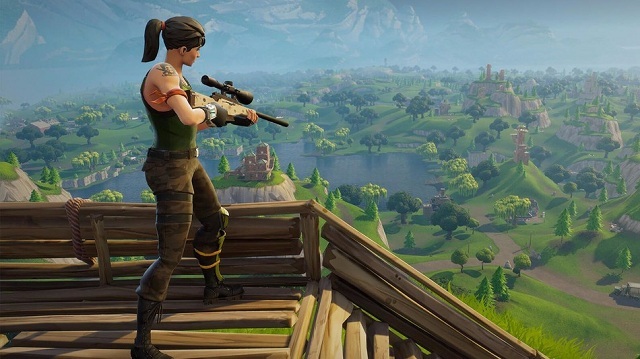 If you prefer close combat then an SMG rifle is the one you should pick or if close combat isn’t really your thing then you could always go in for the sniper. There are three levels of armor in the game. Long story short, aim at getting the level 3 armor as that will improve your chances at winning the game. Keep a line of communication with your teammates on continuously. Discuss layout and strategy while on duo or squad mode. Running in the game will be very useful and to make further improvements to this is to lessen your load by carrying less weaponry (as this will increase you speed by 6%) and removing your shoes to be silent. You can go to settings and enable the peak and fire option. This will allow you to hide most of your body behind a tree or some other object while allowing you to peak and fire. Your guns need to be always loaded and in case it is not switch ammo instead of wasting time reloading and getting killed in the bargain. When you finally finish designing your printed circuit board for your product, it can be tempting to just send it off for manufacture right away. Of course, with manufacture comes many risks so you need to make sure that you have created something which has been tested thoroughly before having it mass produced. This is why we have created a list of some things that you should do before sending off your PCB design for manufacture. Keep reading to find out more. One of the first things that you should do before sending your PCB design off for manufacture is to consider the design scale. You will need to think carefully about whether the cost, the time to layout or the board size is more important to you. Think about the advantages of all of these and choose what is best for you. Never forget about design scale or this could cause problems. 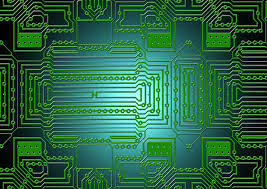 Throughout your PCB design process, you should have been gathering documentation that you will send to the manufacturer. Some of the PCB design software packages from providers like Altium come with features to aid this meaning you’ll be able to take advantage of the Manufacturing Outputs Datasheet which will come in handy in the design process. Make sure to check over all of your documentation carefully before sending off your PCB as errors on the documents could slow down the whole project. If you are working on a budget in your PCB design process, then you are going to need to think carefully about the cost of the components and what size is best for your budget. Some manufacturers might not be willing to work with your parts if they are too small and this could bring your costs up quite high. Make sure to consider this carefully before you send it off to the manufacturer. Although you should be able to get your hands on most of the parts that you have in your BOM, you should make sure to do some research. Some of the rarer parts will be harder to get your hands on and you might need to make some changes to your design. If the parts don’t come in packages that you are comfortable working with then you might have a problem on your hands. Our final tip for those who are about to send their PCB design off for manufacture is to consider the thermal concerns. If you have very large parts right next to your smaller parts you might find that you come across some serious problems. When the heat comes into the process, your parts might start to be an issue, and this is not ideal. If you are finished with your PCB design and you are ready to send it off to be manufactured, you should make sure to take everything that we have discussed into consideration. Google unveiled the Flutter 1.0 at an event at the Science Museum in London, UK. The Product Manager Tim Sneath introduced Flutter 1.0 to the enthusiastic developers. Flutter 1.0 is a cross-platform portable UI toolkit. It is an app engine that brings software development kit (SDK) out of beta. Since 2015, it was undergoing various stages of development. Several of the beta versions were out last year and a preview of Flutter saw the release this summer. It allows developers to build apps that can work on Android and iOS from a single codebase. Flutter was designed by Google so that there could be a better collaboration and rapid development between the developers and coders. It is powered by Skia 2D graphics engine. 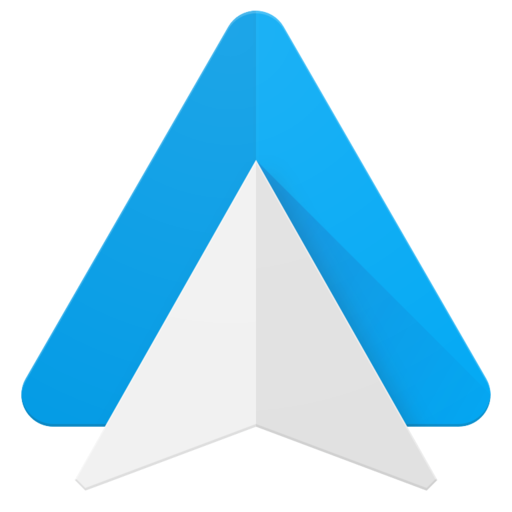 Material Design widgets which would look nice on both, Android and iPhone devices, will be powered by Google’s Dart platform. It will enable compilation to native 32-bit and 64-bit ARM code for Android and iOS. With the ‘stateful hot reload’ feature, you get quick visual results without any need to restart, thus saving time and increasing productivity. According to Google, the development cycles are three times more productive. Flutter, being an open source, with a BSD-style licence, allows contributions from developers all over, since there are plenty of third-party plug-ins and widgets ready to be tried out. Ashley Narayanen told Computer Business Review that even though it has the ability to target more than one platform which is not a new concept, the others being Xamarin, Cordova and React Native, it is a product of Google and not a third party component. The other point to be noted is that Flutter is slated to be the main framework for the next-Gen operating system, Fuschia. Though the Xamarin framework offers a native experience, there are still problems in cross-platform targeting since a complete 100 percent of the components cannot be used across both the Android and iOS platforms. It has been designed to support Google’s ‘Material’ design language as well. Since there is heavy use of shadows and other effects, one can use the native hardware graphics acceleration on both the Android and iOS platforms. With the result it is capable of handling such workloads. Big companies like Alibaba, Groupon, Tencent and others are developing and shipping apps with Flutter. The mobile payment service Square announced two new Flutter SDKs whereby accepting payments for goods and services would become easier with Flutter. It could be done by using a Square payment reader or payments within the mobile app developed on the platform. Animators 2Dimensions announced the use of ‘Flare’, a tool that enables designers to create animations which could be embedded into a Flutter app and manipulated with code. With Flare, there is no need to design in one app, animate in another and convert everything to a device-specific assets and code. With Flutter, app design is radically simplified. Google made an announcement that they would be experimenting with running Flutter on the web under the codename, Hummingbird.